An update on my niece, Trichelle, as she goes through cancer treatments. Last Monday, Trichelle had her fourth treatment of the first set of four rounds of chemotherapy. Her blood work showed her immunity was really low (1.4) when the lowest limit allowed to give more chemo is 1.5. However, because it was so close to the minimum, we soon saw our cancer doctor, and permission was given to give the final round anyway. We were thankful that the treatments could continue on schedule. This new round will drop her immunity even lower with the lowest point being most of this week. The rules about staying distant from people and no handshakes or hugs were again stressed. The last round seemed to be the most challenging so far. Each round seems to make Trichelle more weak and tired. She also had a number of canker sores develop as well. The drugs sure have helped with the nausea and sick feelings though. We give thanks to our God that our family has not picked up any colds or sicknesses yet. This meant that we could be together as family for most of the past 3 week cycle. We received our schedule for December, and the following rounds of chemo treatments are planned to begin on Monday, December 9, and run every Monday for 12 weeks. We also received some instructions about what to expect, do’s and don’ts, etc. It seems strange to think about the Christmas season coming and the busyness it usually brings together with this new reality in our lives. We are thankful for the medical care received so far. The hospital staff and volunteers have been very caring and supportive. The chemo nurses have been awesome. They all seem to go out of their way to make you as comfortable as possible. What a blessing it is to have such care just a short drive from home. So thanks to so many who have shown support. Please continue to pray for healing and that the side effects of this round would be minimal. There are many ways to keep up with authors, teachers, and pastors. Print publications are still my favorite, but today, blogs and social media have become more prevalent. This blog is used primarily for doctrinal instruction, trip summaries, and other items of practical interest. However, my Facebook page provides up-to-date travel experiences, upcoming events, and informal photos of my experiences, books, family, and more. 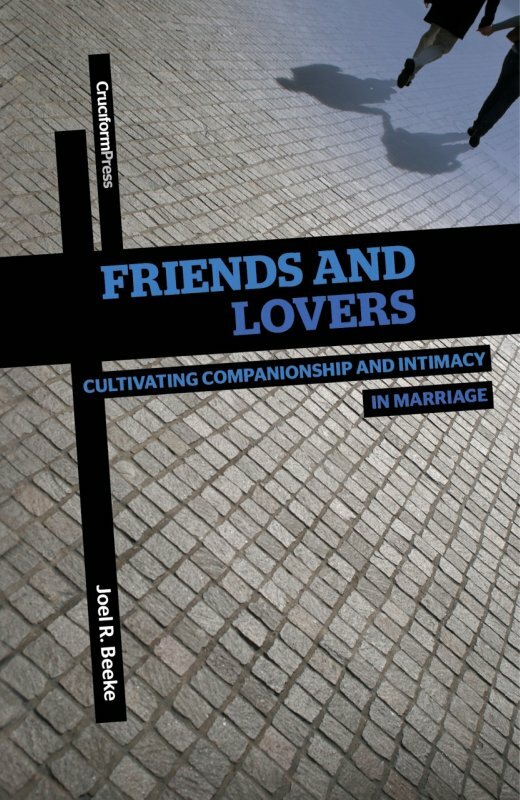 If you’d like to tap into that side of things, please join me at https://www.facebook.com/joelbeeke. I wish you every blessing in Christ Jesus, also for the upcoming Thanksgiving Day. This blog continues a series of meditations on Genesis 1–3. Many thanks to Bethany Cole for her beautiful photography. Genesis 1 teaches us three additional truths about God. First, God is perfect wisdom. His creation followed an astonishing divine plan for an orderly universe and for the amazing phenomenon of human life. Already in the first chapter, the Bible implies that God has a perfect plan for the created order and for man as the crown of His creation. 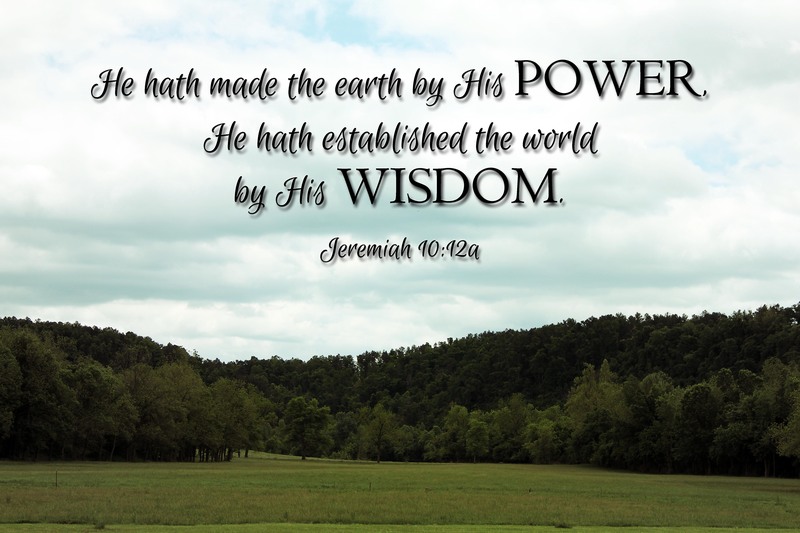 When you read Genesis 1, doesn’t it seem absurd for us to think we know better than God or have more wisdom than He? We who are foolish cannot judge the all-wise God. Second, God is perfect goodness. Repeatedly, Genesis 1 tells us that when God made something, He “saw that it was good.” All that God made was perfectly good because He is perfect goodness. Nothing marred the perfect beauty of God’s creation. Everything He does is like that. Even today, when God’s hand is upon our lives, what He does is perfectly good. So we can believe that “all things work together for good to them that love God” (Rom. 8:28a). The revelation of God’s goodness ought to revolutionize our attitude toward everything in life; it ought to change our thinking. It ought, above all, to bring us with open hearts and arms to embrace His will rather than to suspect it, scrutinize it, fear it, or want to change it. Finally, God is perfect power. His strength is unlimited. 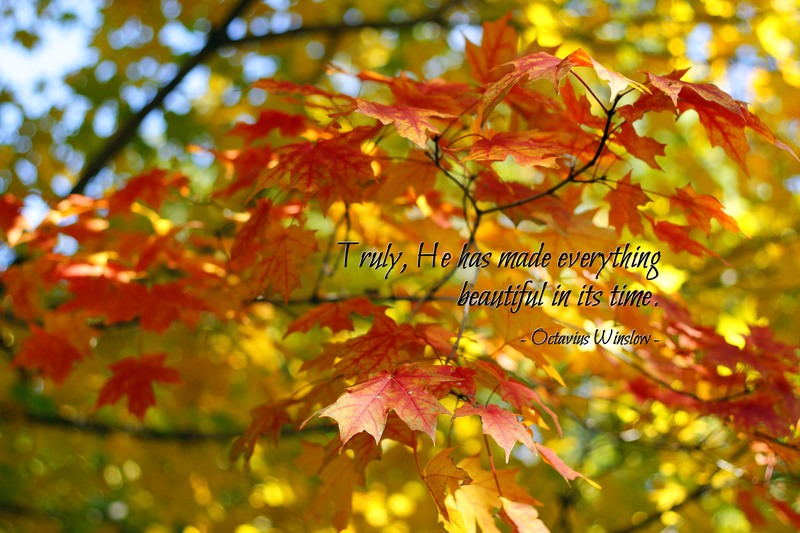 Did you notice the ease of His work in Genesis 1? It is evident in the refrain: “And God said…and it was so.” God’s very word is creative; by it He called the heavens into being, He commanded the earth to be formed, and He spoke and set the stars in their places. A healthy dose of the doctrine of creation is needed in our lives to bring fiber into our spiritual being, to strengthen our souls, and to help us understand that the same God who commanded the light to shine out of darkness also desires to shine in our hearts. God unites perfect wisdom and perfect goodness with perfect power to produce overwhelmingly wonderful glory. That is the character of our God. How else God reveals Himself here in Genesis 1? What implications do all these revelations have for your life? My wife, Mary, graciously agreed to write a summary of our recent trip to Brazil. Since our Grand Rapids to Atlanta flight was delayed two hours, Delta rerouted us from Grand Rapids to Detroit to Sao Paulo to Manaus, which added several hours to our trip. This didn’t allow us enough time to go through customs, baggage pickup, re-check-in, and security, however, so we missed our connection in Sao Paulo. Because there are only two flights a day, we had to spend the next day in the airport, and one of the other conference speakers had to switch time slots with my husband, Joel. We rented a room 1.5 times the size of a bunk bed, and took two naps at Fast Sleep, a hotel that took an hour to check us in. After midnight (and 32 hours en route), we finally arrived at the home of Dr. Lindomar and Miriam Fernandes, and their daughters, Isabel, Priscilla, and Lydia. Dr. Fernandes is a well-known anesthesiologist in Manaus and also serves as an elder in the church we served. We had a delightful time with this family. Cidade Nova Presbyterian Church and its pastor, Jaime Marcelino, hosted the fourteenth Reformed Faith Conference for Pastors and Leaders. This year’s theme was “Our Complete Need for the True Gospel.” Each speaker addressed a different subject in relation to The True Gospel. Joel spoke on The True Gospel and Holiness (4 addresses), Dr. Elias Medeiros on the True Gospel and the Nations (3), Dr. Heber Compos Jr. on The True Gospel and Worship (2), Dr. Leandro Lima on The True Gospel and Peace (2), Dr. Solano Portela on The True Gospel and God’s Grace (1), and Rev. Jaime Marcelino on The True Gospel and Joy (1). Dr. Compos did an excellent job of translating Joel’s messages into Portuguese. The conference met three mornings and four evenings, with the afternoons off. Because the Gospel never gets old, these messages were inspiring and refreshing. We pray that all who listened may take these messages to heart and pass on their truths to other sinners. Pastor Jaime is very much loved in the congregation that he has served for twenty-four years. Under his leadership, members helped at the conference, many taking vacation time from their jobs to do so. The 350–400 attendees are hosted in church members’ homes. The volunteers excel at hospitality, affection, cooking, and conversation. Each lunch was served to the speakers at a different member’s home. These featured regional foods and drinks, such as fish from the Amazon River, rice, cassava (or yucca, which can be prepared many different ways—like mashed potatoes, tapioca, or flour), Guarana (similar to ginger-ale, but tastes better! ), desserts made with sweetened condensed milk, bananas, mangoes, and other tropical fruits. Eating ethnic foods is an enjoyable part of travel, though we sometimes worry about how it will affect us. Lunch in Brazil is a social event with lots of meaningful conversation over a period of two to three hours. We enjoyed these times, but as they were accompanied with temperatures in the upper eighties and nineties (a cool week for locals!) and very high humidity, we welcomed a siesta each afternoon. Happily, all the places we spent time at had air conditioning (except when the power went out, which happened three times). On Sunday morning, Dr. Medeiros preached on evidences of the new birth. He then translated Joel’s message on the majority report of the ten spies and the minority report of Joshua and Caleb. Joel’s sermon in the evening was on Philippians 1:21, “For me to live is Christ, and to die is gain.” It was a joy to meet people at this church, though at times we needed a translator to communicate with them. We were reminded once again of the privilege God gives us to connect conference ministry with PRTS, by conversing with potential students. They hear my husband preach, connect with the message, then want to be trained to preach. Several men in Brazil have gone through PRTS and are now preaching in their churches as well as teaching in their seminaries. God is so good. We were enriched by the folks we met. Pastor Jaime has stood strong for the Reformed faith in his church and denomination. He organizes nine mini-conferences for ministers in other localities. He is in tune with every aspect of running a church. He has a special gift for music; during the addresses he often changed the songs to match the message. After the evening service he made some announcements, then asked if there were any visitors. He asked them to stand, to give their names, then say how they came to the church. Then in a conversation-like way, Jaime quizzed the congregation on the sermons. He lovingly admonished them for not responding quickly enough. Afterward, many children came up to him for hugs. Such love is a very good sign. Jaime’s loving heart is also seen in his love for his wife. They kiss each other’s hand after each prayer. When he talks about her, Jaime sighs and puts his hand on his heart. I would dare say he is almost as loving as my husband. Dr. Elias and Fokjelena Medeiros also enriched our lives. Elias grew up in Northeast Brazil. His mother saw her pregnant mother and small sibling drown. She knew no one else from her family. A Baptist doctor gave her a room in a hospital to live in and gave her work. She learned nursing on the job and was saved under that doctor’s evangelism. His father met her while visiting his sister. After marrying, he worked his way up from poverty by taking on several jobs and going to school. He became an example of integrity, godliness, and diligence to his family. Elias’s mother was very strong while her husband was away. One time Elias and his brother said, “Mama, we don’t want to go to the prayer meeting tonight.” Mama said, “Oh that’s OK, I will just take your ears there, and you can stay home.” He demonstrated this by dragging himself by the ears. He said, “You can’t talk to my mama for five minutes without her talking about Jesus Christ!” Well, Elias is the same. He is sixty-one and has the energy of a wired teen. We have never met someone with such an evangelistic heart. His wife is also on fire for the Lord, though a bit more subdued. Elias preached outdoors for the first time when he was ten years old, then regularly from the time he was sixteen. Those years in the jungle were trying. The couple would drive into the jungle and talk to people, offering them rides, helping them, and gathering people together to listen to the Gospel. Every evening they met in a different place. Toward evening they would ask if they could hang their hammock under someone’s roof for the night. By Sunday they would be back at their base village. The meetings were always in the evening. Many people walked miles through the dark jungle to attend. One night they decided to drive the four hours back right after the service. They came upon a large dead snake and realized the folks who attended the service had probably just shot it. A little later they saw another huge snake going across the road. The head was hidden in the bush on one side, and the tail on the other. They rode over it like it was a speed bump, Elias said. He wanted to back up to crush it, but his wife had visions of the head and tail lifting up and squishing them. So they continued on their way. Though my husband regularly evangelizes strangers more than I do, we both felt challenged and encouraged by the Medeiros to evangelize others more frequently and boldly than we have been doing. We have seen their example, and we need to follow it. We have told you about it, too, so you also have the blessed obligation to make your own calling and election sure by showing forth the light of Christ Jesus to others, using your gifts and your opportunities. Manaus (pronounced Mah-nous) is a city in the Amazon jungle with a population of two million, located 180 miles south of the equator and a thousand miles inland from the Atlantic Ocean, where the Black and Amazon Rivers meet. The average daytime temperature is 85 to 95 degrees, and the humidity reaches 99 percent every day. Annual rainfall is 90 inches, most of which comes during thunderstorms. We were in Manaus at the beginning of the rainy season, so we experienced a thunderstorm every afternoon. The rivers which were at their lowest point, would be 15 meters higher by June. Due to the depth and width of the Amazon, large ships can navigate to Manaus, though men who are specially trained operate the ships. We took a boat ride on Saturday and saw miles of shipyards along the shores of the Black River. We expected to see canoes on the river and palm trees, but the Amazon is one to six miles wide during the dry season and up to thirty miles wide at the end of the rainy season. We cruised to the “Meeting of the Waters” where the Black and the Amazon rivers meet. Because of the difference in the temperature, velocity, and the amount of silt in the water, the waters run side by side and don’t mix for about six miles. On our way back we stopped at a floating restaurant for lunch and hiked into the jungle for an hour. 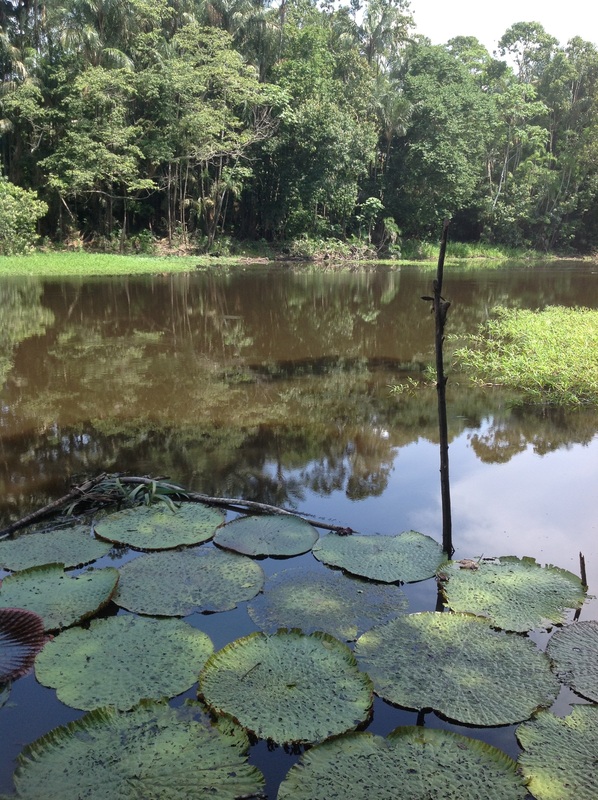 We saw wild monkeys in the trees and Victoria lily pads, which can be six feet wide. We drank coconut milk straight from a coconut. A thunderstorm chased us on the way back but then went around us. God’s variety in the foliage, the weather, and the people was very impressive. Genesis 1 teaches us several major truths about God. First, it teaches God’s priority over creation and His independence of it. “In the beginning God” tells us that God existed before the cosmos existed. Jesus confirmed this by speaking of the glory He had with the Father before the world began (John 17:5). God did not create the world because He needed man or the world. He is completely self-sufficient; He has need of nothing outside of Himself. Has the Holy Spirit taught you that God does not need you? God doesn’t need helpers or defenders. He doesn’t even need worshipers. He doesn’t need you and me at all. Second, God is eternal. The Psalmist says, “Before the mountains were brought forth, or ever thou hadst formed the earth and the world, even from everlasting to everlasting, thou art God” (Ps. 90:2) and “The heavens are the work of thy hands. They shall perish, but thou shalt endure” (Ps. 102:25b–26a). Third, God is infinitely gracious. He created the universe in all its glory, and man as the crown of it, because He was pleased in His compassionate grace in Christ to share His joy with people like us. Creation is therefore an expression of the grace of God. It is a work of grace just as redemption is. We are introduced to God’s graciousness here because this is what God is like all the way through Scripture. Similarly, in the new creation in Christ, God persists in loving His rebel creatures, not because He has any need of us, but because He longs to share His joy, holiness, righteousness, and beauty with us. He is truly a God of grace. Finally, God is beautiful and orderly. Study the beautiful parallels between the first and fourth days of creation, the second and fifth, and the third and sixth. How much more beautiful God’s method of creation is than man’s evolutionary theory! 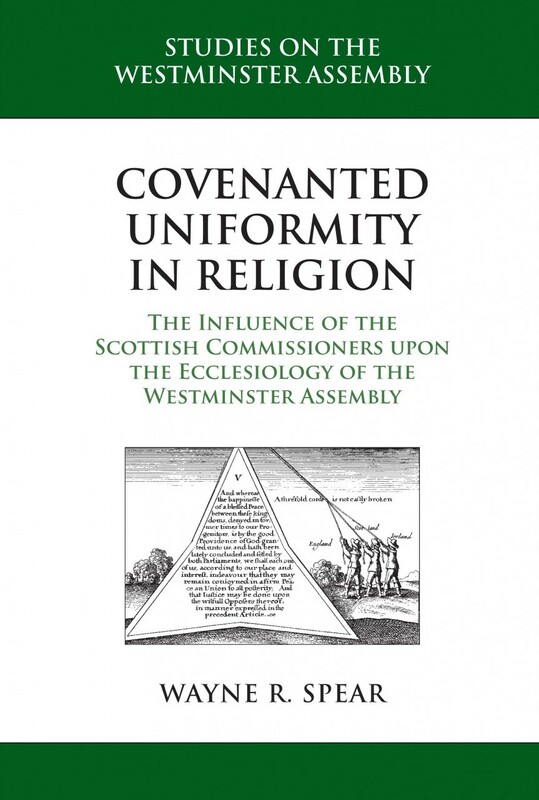 Dr. Wayne Spear will be hosting a webinar on his book, Covenanted Uniformity in Religion: The Influence of the Scottish Commissioners upon the Ecclesiology of the Westminster Assembly on Nov. 7. 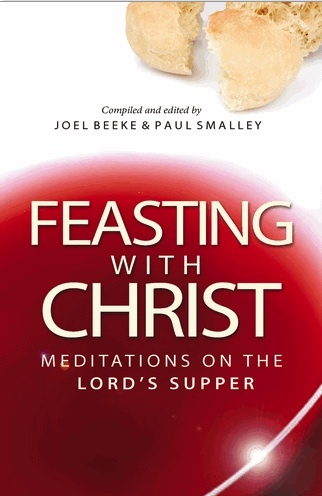 If you are interested in the Westminster Assembly and its confession and catechisms you may want to check it out.